- 24/7 4.5 Ounce Poly Performance Pique. - Striped collar and placket. - Two dyed-to-match buttons on placket. 24/7 4.5 Ounce Poly Performance Pique. 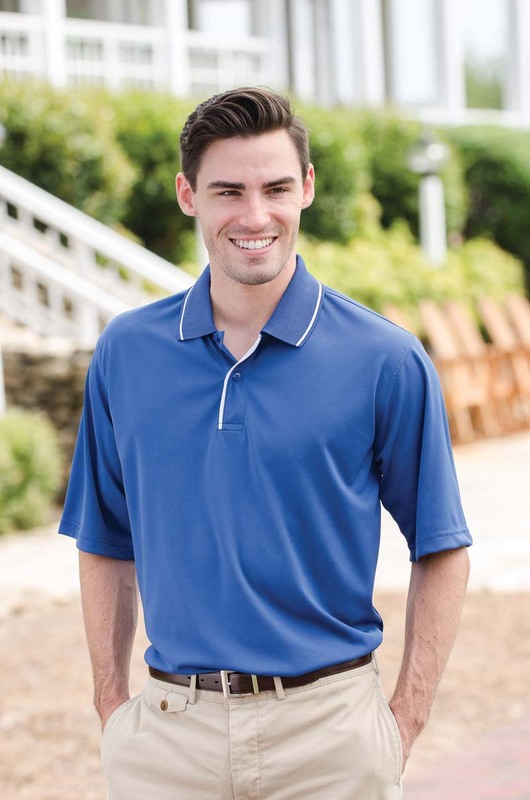 100% polyester, 4.5 ounce moisture wicking/anti-microbial treated fabric. 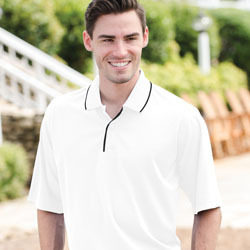 Striped collar and placket. Taped neck. Two dyed-to-match buttons on placket. Hemmed sleeves. Double-needle hemmed bottom. Sizes: XS-4XL. Colors: Black/White, Navy/White, Red/White, Royal/White, Steel Grey/White, White/Black (Discontinued. Limited Quantities), White/Navy. Style Ships From Pageland, SC.